In the last year we’ve had the chance drive the new Exige S both on road and track, but when lucky forum member Andrew Swift (chevronb37) was offered a chance to try the car for 24 hours we couldn’t wait to hear what it was like to use in the real world…. The stream of profanity stretches ever longer, my knuckles are white and my girlfriend is giggling like a school girl at a One Direction concert. 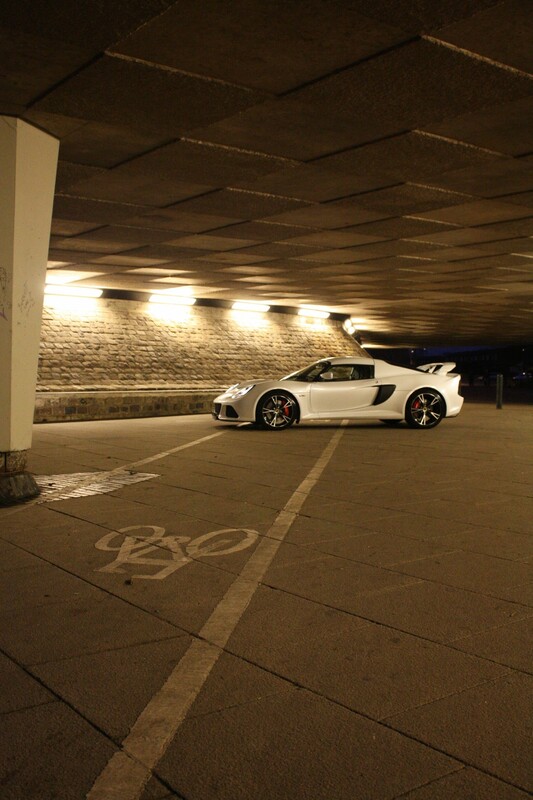 You don’t forget your first lunge deep into third gear in the new Exige S; nor your second, nor even your third. Bloody hell, this thing is fast. I have 24 hours in the Exige S. It has just received its first service and I’m told to enjoy it properly. I don’t need telling twice, but I wasn’t expecting to enjoy it quite this much. 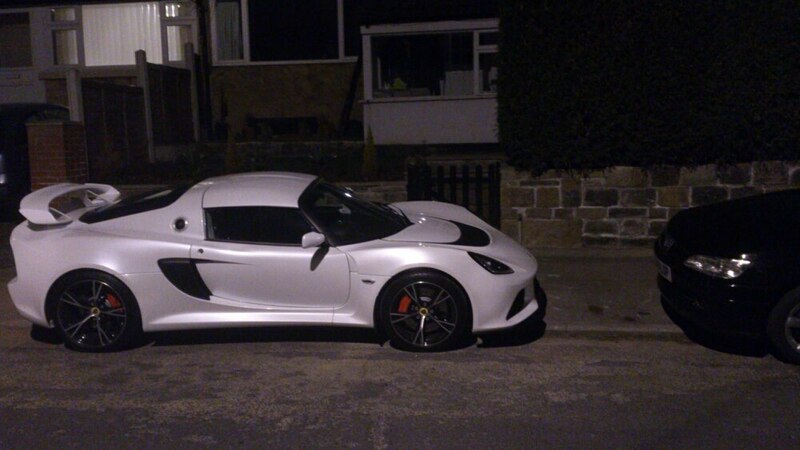 I’m determined to see how this new Exige S performs being used as a car. Not a track toy or a silly indulgence like my own S1 Exige; just a car doing its thing, delivering its occupants where they need to go. So the first activity involved taking a lady for dinner. I realise for most Lotus owners this apparently simple act usually involves bribery and coercion as reluctant ‘Lotus wives’ complain about the smell or the noise or the discomfort. The new car passes with flying colours. My date is immediately impressed by the Probax seats but it’s the acceleration which really hooks her – she loves it. Arriving at a good pub near Wetherby for dinner I’m not sweating quite so profusely as usual in an Exige. Clearly cabin temperature has been a development priority. In fact other than the minor work-out turning the wheel at low speed to park I feel quite fresh. Barely before we’ve sat down to eat the waiter has complimented me on my amazing car. I debate whether to fool him into believing I’m some kind of rock star supercar-driving demi-god. Instead I mutter something about how I’m merely borrowing it while trying to contain my slight smugness at all the attention. With dinner dispensed with, it’s back on the road and time to find some good driving roads to test the new car’s dynamic capabilities. If it can handle the North Yorkshire Dales without forcing my good lady and me to revisit our meals then we’ll consider that a great start. We head from Wetherby over to Harewood, passing the entrance to the famous hillclimb at a speed which many of the course’s competitors would be proud of. On that fine, fast, undulating section from Collingham to Harewood the Exige is mighty. It devours straights whole in huge bites; one benign flex of the right foot sends you from one corner to the next with startling force. It’s been my privilege to drive a few quick cars in recent years but nothing which so readily combines such wells of torque with such broad-shouldered stability and amazing traction. From Harewood it’s north towards Harrogate as we nose nearer towards the Dales. Stopping for petrol, the attendant takes a keen interest in the shiny white projectile on his forecourt. He’s kind enough to suggest that it would traverse the local roads faster even than Jenson could manage in his McLaren grand prix car. I was left genuinely ruminating on how a contemporary F1 car would handle the A59 at speed. Harrogate entailed a rather tiresome diversion due to roadworks, but it did offer further opportunity to savour the ride. The greater mass and broader track compared to the S1 and S2 variants have created a lovely platform which really soaks up potholes and uneven surfaces. Combined with better sound proofing to the cabin, there are significantly fewer of those wince-inducing moments as you crash over poor surfaces. After an eternity we are free of Harrogate and out on the A59 towards Skipton. This is a big, fast, open road with good visibility and a useful combination of corners and crests to test your observation and road craft. I am dismayed to find we are able to conduct a conversation at more than 20mph with ease. The car certainly has long legs and makes easy work of the first few miles. There’s a particularly nice balance and feel from the rear as you gently feed in the power on corner exit – it has ‘flow’. We head out onto moorland territory as the sun sets and the headlights start to guide the way. I struggled to detect much improvement over previous Lotus generations here and as darkness fell our pace became largely dictated by the availability of light more than anything else. Out here there are no telegraph poles or trees to guide you ahead. On smaller roads and switchbacks, the car’s increase in mass over previous generations makes itself felt. Where an S1, or even S2, would dispense with a series of slow corners telepathically, the new car needs a bit more help and you start to consider the mass behind you. It’s still agile by the standards of most cars, but then the Exige has never been ‘most cars’. We arrive home under cover of darkness and leave the car street parked outside the house – in the true spirit using it as a car. It’s left a big impression and I’m understandably delighted when I awake to find it still parked there and apparently untouched. What a relief. I have a meeting in the morning – at the headquarters of West Yorkshire Police. When I consider what the car and I got up to the previous evening this feels akin to doing business with your mistress’s husband; I actually feel a bit naughty. Still, my client loves the car and finds its total stupidity rather endearing. I’m not sure I’d ever feel sufficiently cocksure to use it for business if it were my own, but I’ve proven the Exige capable of doing it. I proceed onwards to our offices. Feeling slightly ostentatious I leave it at the far end of the works car park but I’m slightly jittery. I’ve been exploring the car’s overtaking potential – purely in the interests of journalistic research, you understand – and it transpires it’s really rather potent. I’m slowly recalibrating my brain to the performance now, though I’m not ready to start chucking it around the roundabouts with abandon – that would take a little more time to build up to. Come lunchtime there’s a small queue of colleagues eager to experience what the Exige S is all about. I confess to slight pride in making them giggle – much as my girlfriend had the previous evening. One existing Lotus fan immediately logs onto eBay and prepares to sell a kidney; another chap becomes a Lotus fan and logs onto the classifieds with a sudden interest in track days. It seems the best possible marketing for Lotus is just to get folk out in the car – everyone loves it. 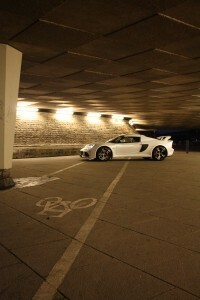 I also wonder whether I have the bizarre distinction of being the first person ever to take an Exige S to Asda. It handled the speed humps, fitted neatly in a single parking space and carried my lunch with aplomb. If there is a problem in the supermarket environment it is that the Exige S drastically increases the likelihood of a third party accident as fellow shoppers gawp as they drive past. No Exige has ever provided discrete transportation, though. So, having established that this new Exige S can handle dinner dates, high speed blasts through the countryside, street parking, scaring friends, business meetings and the weekly shop, only one trial remained: weather. It was with heavy heart I discovered rain as I prepared to leave the office. Bugger. With the traction control cranked to its most idiot-proof setting I found that even with my fists of ham I was able to convey myself safely back to the dealership without crashing once. I had promised myself total objectivity going into this test. I would not be gushing, effusive maybe, but definitely not gushing. Despite my attempts to enter the day unburdened with preconceptions, I had expected simply to conclude by saying that it’s good, but that the S1 is better because it’s lighter and simpler and has unservoed brakes, etc. You know the forum banter. I cannot, in all sincerity, conclude that the S1 is the better car. It isn’t. In every measurable, empirical, way it is grossly inferior to this new car. 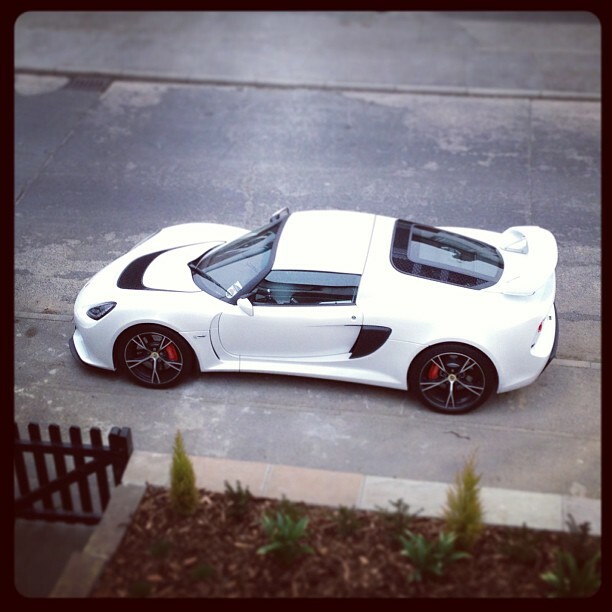 The V6 Exige S is brilliant. But, and it’s a crucial but, it’s a very different kind of Exige those which have gone before. If you chase your thrills up to 100mph, love the stench of petrol and savour the physicality of a racing car for the road then the original Exige is still the hyper-agile adrenalin shot of driving you need. If you seek a slightly more civilised, deeper-lunged challenge then this new car will amaze you. 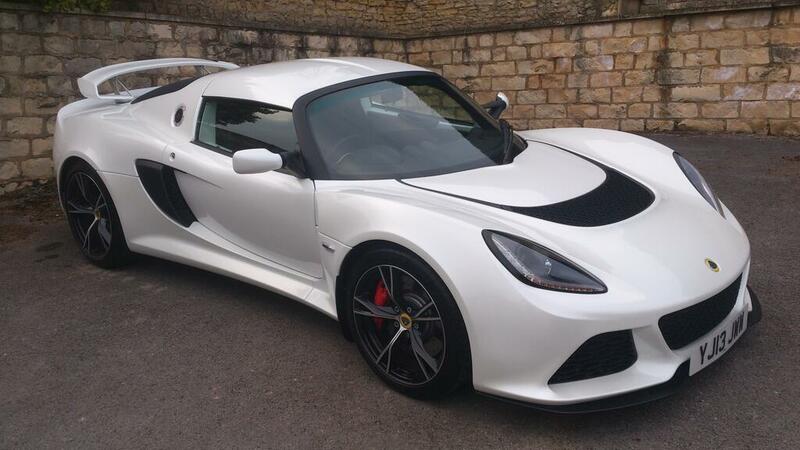 The new Exige S is a triumph for Lotus. Now let’s see the company build – and deliver – a few of them. My eternal thanks got to Andy Bryan at JCT600 for entrusting his precious demonstrator with me. SELOC would like to thank Andrew for allowing us to share his article. You can find more of his work on his website, Motor Car Diaries, and share your thoughts on the piece in our forums.